(Lincoln City, Oregon) – Only a month from now, the central Oregon coast town of Lincoln City will have its skies flooded with kites. 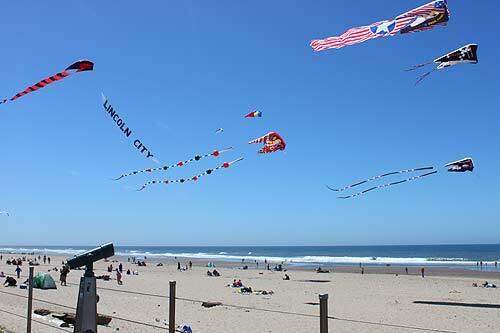 The Lincoln City Visitor & Convention Bureau recently announced the date for its 30th Annual Lincoln City Summer Kite Festival, taking place on June 28-29, 2014. For two spectacular days on the beach, witness performances by some of the best professional kite fliers in the sport and experience some of the most colorful big show-kites in the world. As always, the Summer Kite Festival takes to the air at the D-River Wayside in the center of Lincoln City from 10 am to 4 pm on Saturday and Sunday. It is free to watch but parking in that area will be limited, although additional parking options and shuttle service (Saturday only) will be available. 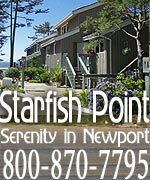 Pick up a map with overflow parking locations and the shuttle route from festival volunteers at the D-River Wayside at any time during the event or download a copy in advance at www.oregoncoast.org. Alongside the flying spectacles are a number of unique and fun activities. There is the wacky Running of the BOLs, which features participants in a footrace across the beach while harnessed with parachute kites. This draws plenty of spectators as well. There's even a kite fight. Explore the dark side of kite flying with a Rok battle, which features Rokkaku kites, a traditional Japanese design, where combatants attempt to ground their opponents' kites. You can also take part in a hands-on kite making clinic and a short battle workshop to enter into the fray. The kids will enjoy their own kite making experience, a parade down to the beach, and meeting featured kite fliers and collecting prizes through the passport program. 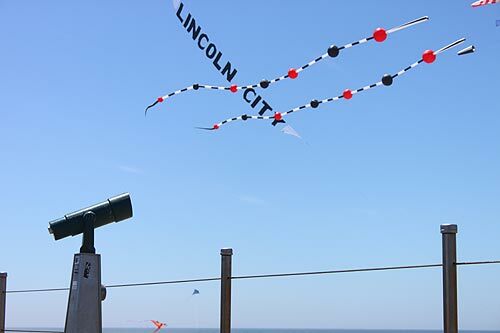 "The Kite Festivals are the largest events of the year in Lincoln City, drawing in a crowd of about 15,000 in both the summer and the fall," said event coordinator Suzanne Treece. "Without the stress of a formal competition, Lincoln City's festivals offer a more relaxed environment that spectators and participants both enjoy. 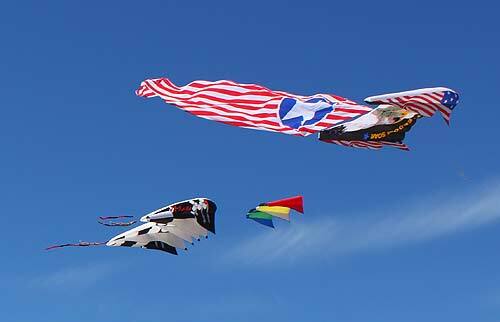 We are really excited to be unleashing a Rok battle for our 30th Summer Kite Festival." 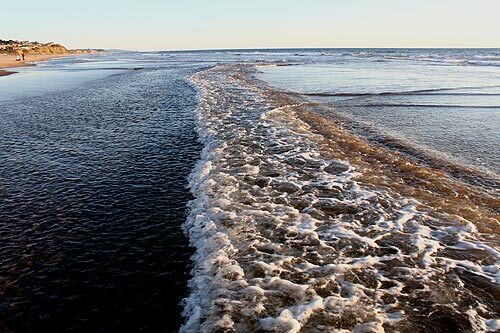 For more information contact the Lincoln City Visitor & Convention Bureau at 800-452-2151 or visit their website. More about Lincoln City at the Lincoln City Virtual Tour, Map.